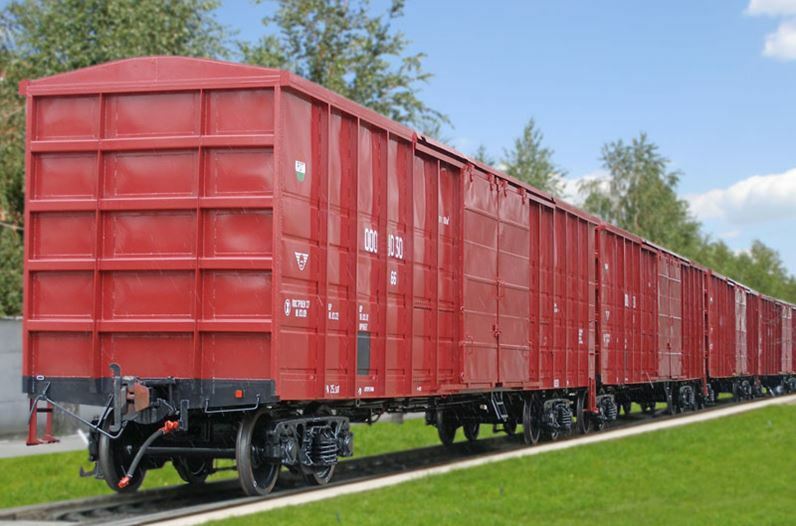 SIA “LDZ CARGO” sells 200 (two hundred) of closed railway cars of 1-066-04, 11-066-05, 11-066-08 and 11-K001 model (year of the manufacture 1966-1982) at the open oral auction, hereinafter referred to as – the Railway cars, which have not undergone planned repairs and which life-time has expired; therefore, they are prohibited from being used in the cargo carriage through the public railway infrastructure of the Russian Federation. The Railway cars are sold as universitas rerum (things in the aggregate). The auction will take place on 10 July 2018, at 13.00 at: Dzirnavu Street 147 k-1, Riga, 3rd floor, room 12. Starting price of the auction amounts to EUR 980 600 (nine hundred eighty thousand six hundred euro), which is formed from the market value of the Railway cars determined by the certified appraiser in the amount of EUR 979 700 and from the valuation-related expenses in the amount of EUR 900. In addition to the bid price of purchase, the winner at the auction should pay to the seller EUR 28.46 EUR per each Railway car, for the delivery of the Railway cars to the Station of Daugavpils, where the Railway cars are handed over to the buyer. The specified amount is taxable with the value added tax, pursuant to the requirements of the LR Law on Value Added Tax. The auction procedure is organized in accordance with the provisions of auction approved by SIA “LDZ CARGO”. The fee for participation in the auction in the amount of EUR 2000 (two thousand euro), VAT included, is set for the participation in the auction and issue of the rules of auction, which is not refunded to the participants of the auction, as well as is not included in the selling price. The fee for participation in the auction is payable on SIA “LDZ CARGO” current account No LV49NDEA000082999854 with AS Luminor Bank, SWIFT code NDEALV2X, specifying the purpose of payment: “payment for participation in the auction of 200 closed railway cars”. The security deposit at the rate of 10% of the starting price of the auction is set for the successful procedure of the auction, i.e. EUR 98060 EUR (ninety eight thousand sixty euro). The auction security deposit is payable on SIA “LDZ CARGO” current account No LV49NDEA000082999854 with AS Luminor Bank, SWIFT code NDEALV2X, till the beginning of the auction, specifying the purpose of payment: “Security deposit for the auction of 200 closed railway cars”. The security deposit paid by the winner of the auction is included in the selling price, but it is repaid to the other participants of the auction, if none of the cases specified in the rules of auction takes place, when the auction security deposit is not refunded. To take part in the auction, the applicants should pay the fee for participation in the auction, should receive the rules of auction, should pay the auction security deposit and apply for participation in the auction of SIA “LDZ CARGO” with the documents determined in the rules of auction attached thereto. Having paid the fee for participation in the auction, having presented the payment order the rules of auction can be received from the auction Secretary Mārtiņs Plēsums at: Dzirnavu Street 147 k-1, room 0-1, Riga, tel. 67233439, 28231008, e-mail: martins.plesums@ldz.lv, on working days from 9.00 to 16.00, and on Friday till 14.30.